Smrithi is using Smore newsletters to spread the word online. The Jews settled down and built a temple on a piece of land. The Babylonians and burned it down and scattered the the Jews. When the Jews returned to there land they rebuilt the temple. But this time the Romans came and burned down their temple and scattered the Jews. Then the Muslims came and found the land and decided that they were going to build a temple there. When the Jews Returned to their land they wanted the Muslims to leave so they could rebuild their temple. The Muslims refused because they had all ready been there and built their temple and the Jews had just come back. They started a was and the conflict has been going on for about 3000 to 4000 years. I'm guessing since it's a sacred land they wouldn't be able to split it. The Jews want all the land to themselves so that wouldn't be an option. 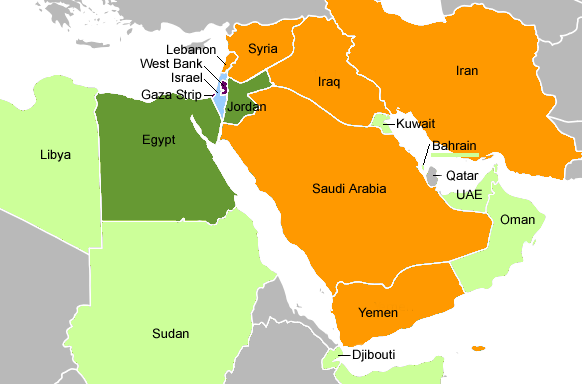 Maybe they can count how many people are on the Israeli side how many are on the Arab side and see which side as a larger amount of people. And whoever has the larger amount can get the land but that probably wouldn't seem fair to the person who has less people. Another way would be that both the religions can both live peacefully on the same land. Other then that I really don't think that there is any other way to have one religion get the land and still have it be fair because one side is always going to think that it is unfair.